Industry experts noted early the similarity between the Horton (left) and the Bennington (right). 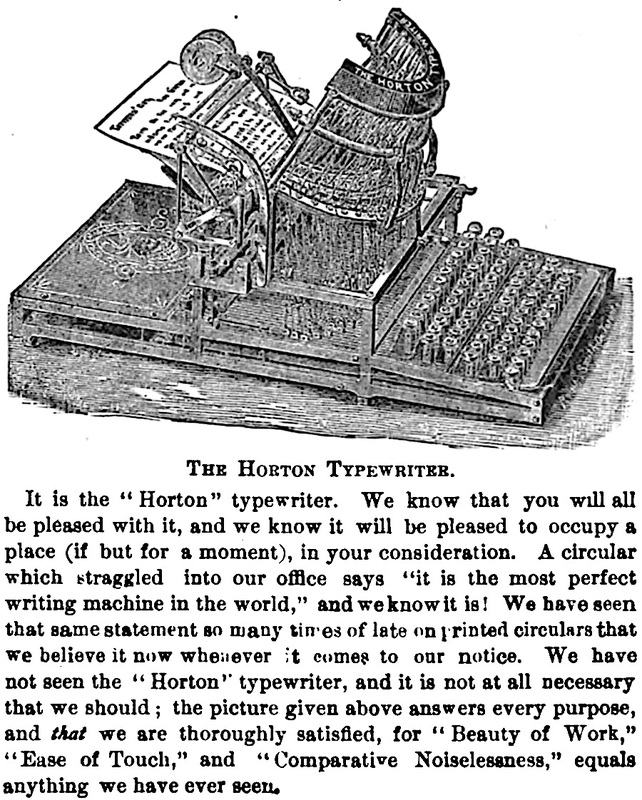 Known more commonly as the Horton Typewriter, the Horton Typograph garnered “considerable interest” when introduced in 1882. Its inventor, Edward E. Horton, was a court reporter and vice president of the Canadian shorthand society, and one of the many stenographers who endeavored to build a better writing machine. 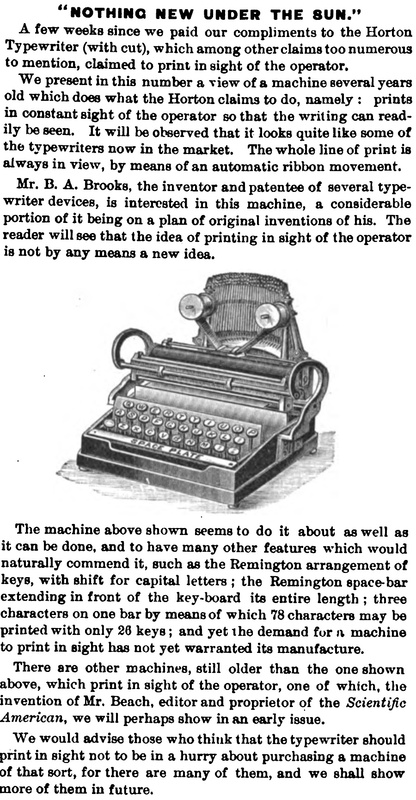 Remington typewriters were esteemed, but stenographers badly wanted a machine with visible typing, something Remington would not offer until 1908. The slew of visible typewriters that followed did not always live up to expectations. The Oliver functioned well and was successful, but most others fell short of expectations. The Horton, for its part, never even emerged as an actual product, and absent financing, the company folded after many years of promotion (see Robert Messenger’s post here). Only a few Hortons were ever made over a period of several years. Originally, the Horton was called a typograph, a term frequently applied to machines before the Sholes & Glidden “Type Writer” of 1874. Shortly later, the Horton was called simply a typewriter. Greg Fudacz offers a “preliminary circular” for the Horton here, and that document identifies the machine as a typewriter. The circular likely dates to 1886. 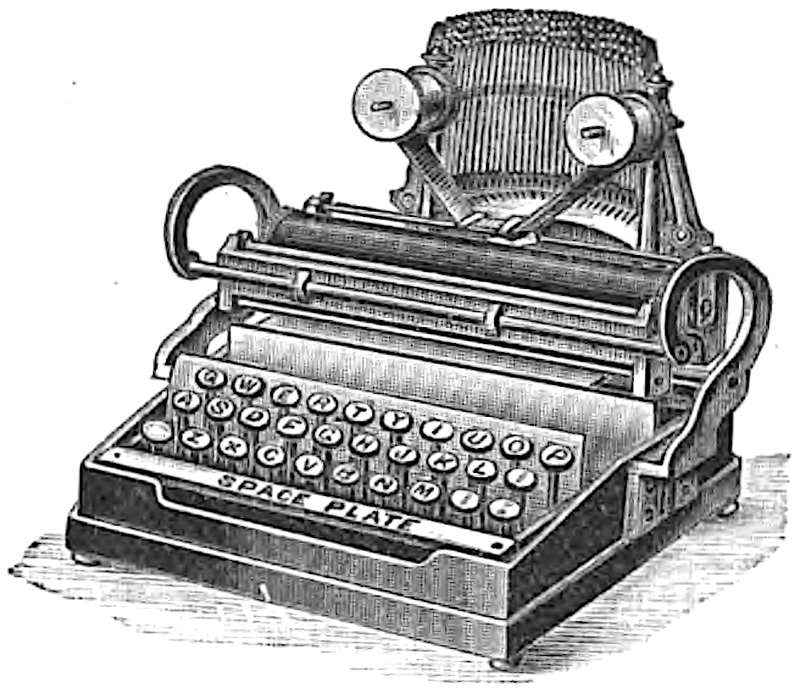 The editors of The Phonographic World compared the Horton to another machine of similar design (see below), observing that there is “nothing new under the sun.” That machine, by Byron A. Brooks, later developed into a moderately successful product, and Brooks himself found success with the Remington Typewriter Company. Among his many accomplishments was case shifting (upper and lower case writing) for the Remington Standard No. 2 in 1878. This typewriter, by B.A. 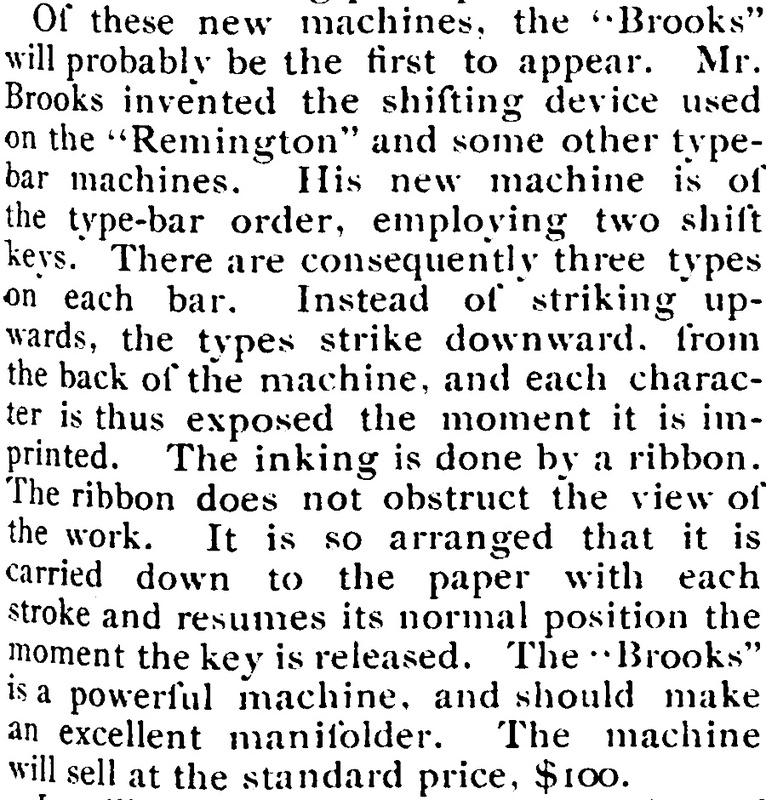 Brooks, reflects a pattern in the design of some visible typewriters. See story below. The publication observed that it looked frighteningly similar to the old Horton. © 2019, Mark Adams. All rights reserved. I hear the typer typing.